Generation | JDRM Engineering, Inc.
JDRM Engineering provides engineering design services for generator systems ranging from 6 kW to 12 MW. Systems include paralleled units from two to eight generators, and voltages from 208 volts to 12,470 volts. Cogeneration systems have included 65 kW gas microturbines to 1000 kW gas and steam turbines, as well as a 1,100 kW gas reciprocating unit. 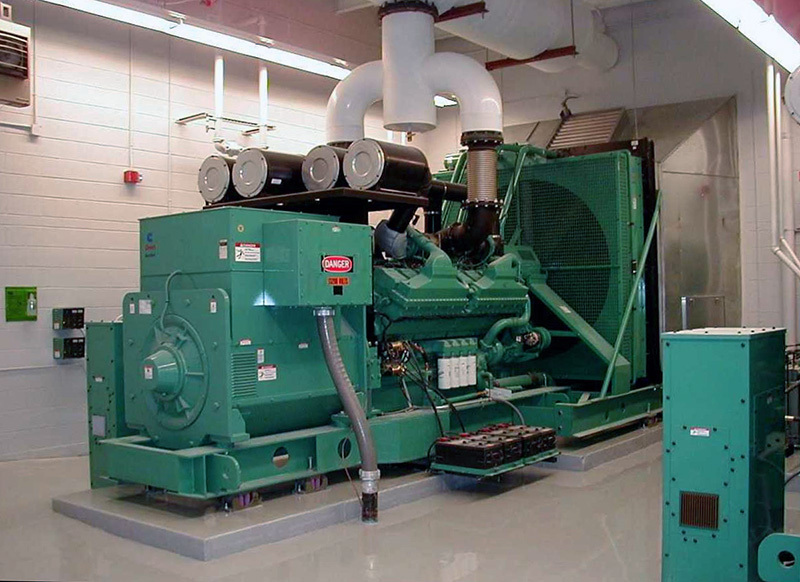 Generators have been designed for total backup and black start for hospitals and waste water treatment plants. Computer Data Centers have been designed with redundant units to achieve a Tier 3+ rating. Countless smaller generators have been designed for health care, commercial businesses, pump stations, etc. Generation projects of note: La-Z-Boy Corporate Headquarters, Magna Data Center, Emergency Back-Up Power for Entire Hospital Campus, Bay View Waste Water Treatment Plant, AAA Southeastern Michigan and Detroit Edison Emergency Back-up Power, Healthcare Campus Substation and Power Distribution, and Global Information Technology Data Communication Center.